There’s plenty of talk surrounding health care reform and whether employers should “pay or play.” The popular phrase refers to a business’s choice to either offer health care benefits that meet the law’s standards or yield to fines for dropping coverage. Though savvy employers know their benefits package can help boost workplace retention, satisfaction and productivity, many are faced with a difficult decision as health care costs continue to rise. What if there was a way for employers to play differently? By understanding rising costs, employers can take advantage of key solutions and take control of their employee benefits options. Stay the course: Keep group health insurance and pay inevitable annual renewal rates, while looking for options to keep costs down through employee cost. Pay and exit: Drop group health insurance and all employer-sponsored health benefits and pay the penalty. Employers with 100 or more full-time equivalent employees can choose to pay applicable tax penalties, and employers of all sizes who exit from offering health insurance may “pay” with difficulty in recruitment and retention. Play differently: Choose a different course of action to allow their company to provide health care options the workforce needs while also minimizing health care costs. Employers who want to have greater control of their benefits options have several alternatives. Companies may choose one strategy or a combination to fit their workforce and their budgets. Health Savings Account (HSA) - HSAs are individual bank accounts owned by employees that allow tax-free medical expense reimbursement. It’s required to be paired with a high-deductible health plan. Health Reimbursement Arrangement (HRA) – An HRA is an employer-funded, tax-advantaged employer health benefit plan that reimburses employees for out-of-pocket medical expenses. Health Flexible Spending Account (FSA) – Health FSAs offer a tax-free way for employees to save for qualified medical expenses during a single year. FSAs can be paired with any health plan or used alone. Health Incentive Account (HIA) – HIAs are designed for the employee to solely earn funding for out-of-pocket health care expenses by participating in and completing a health rewards program. 2. Private and public exchanges: Health insurance exchanges (also called marketplaces) are web portals where individuals and businesses can shop for and buy health insurance. 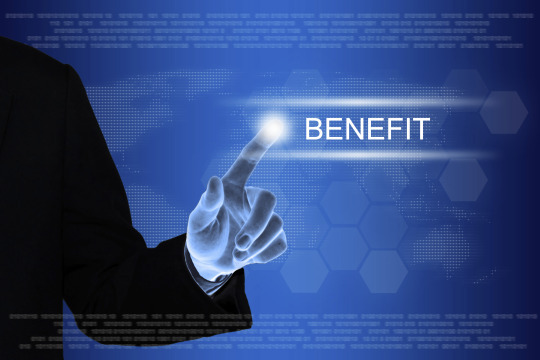 They’re gaining popularity and can make benefits administration easier for businesses. Plus, they give employees the option to purchase health care coverage that fits their needs and their budget. Regardless of your company’s size, private exchanges can help your company offer a variety of benefits options, including major medical and voluntary products. And if your company has fewer than 25 full-time equivalent (FTE) employees, you may be able to take advantage of tax credits through a government exchange option called the Small Business Health Options Program (SHOP). 4. Outcomes-based initiatives: Companies are beginning to establish ways to keep providers and employees accountable for health outcomes. For providers, employers can look to bundled pricing arrangements with their insurer so employees get the best rates with doctors and hospitals with proven track records for success. For employees, companies are increasingly looking to health screenings and incentives. Although every business and workforce is different, the importance of having employees who are adequately protected by their health care coverage is increasingly a constant. Savvy leaders find a way for their businesses to succeed and build a health benefits package that meets their employees’ needs while actively controlling rising health care costs. New innovations in the health care market and trusted consumer-directed strategies can help employers to play differently. * The 2015 Aflac WorkForces Report, conducted on behalf of Aflac in January 2015 by Research Now, captured responses from 1,977 benefits decision-makers and 5,337 employees from across the United States. To learn more about the Aflac WorkForces Report, visit AflacWorkForcesReport.com.